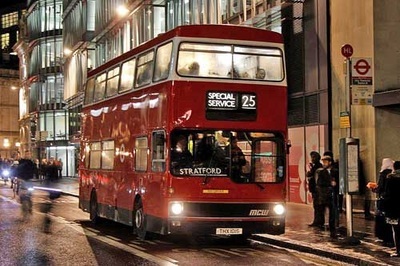 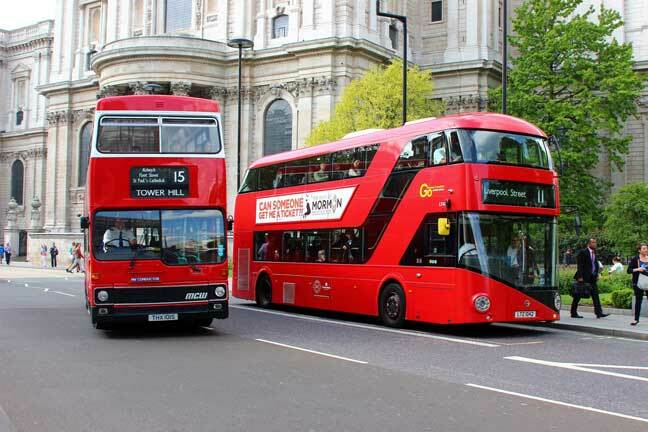 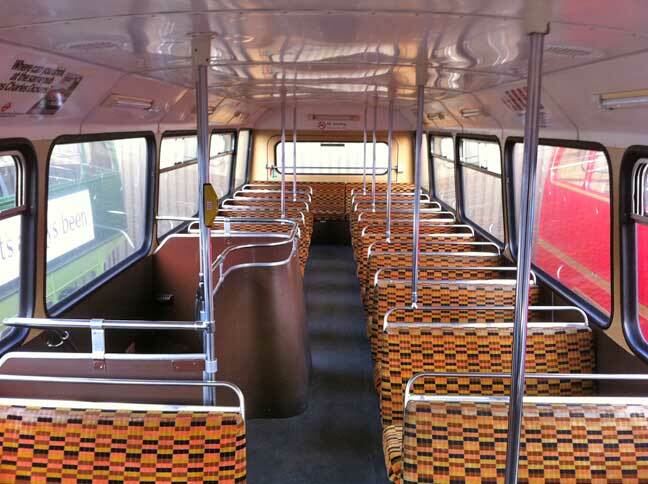 The Metrobus and the Titan were London’s mainstay vehicles from when they hit the road in the late seventies to their final withdrawal some 30 years later, far outlasting what many had expected when they first joined the fleet. This was the very first of over 1400 Metros that would be built for London and has certain features that were not built as standard into the main batch, making it easily recognisable. 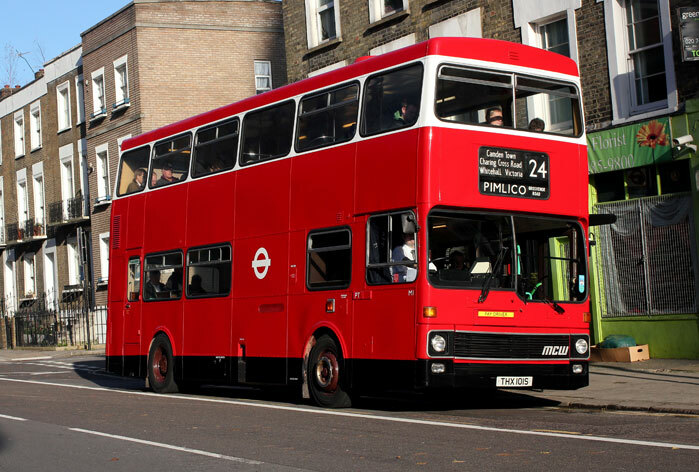 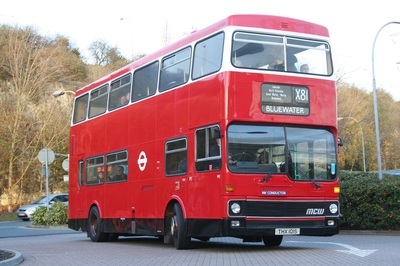 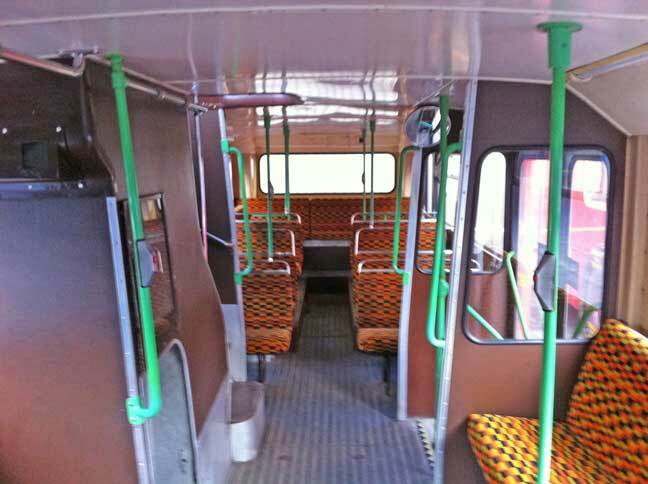 Albeit from a later period this Metro is a London bus through and through having spent its entire life in the capital and is ideal for those who remember, used or want to recreate bus use from the 1980’s or 1990’s in particular. 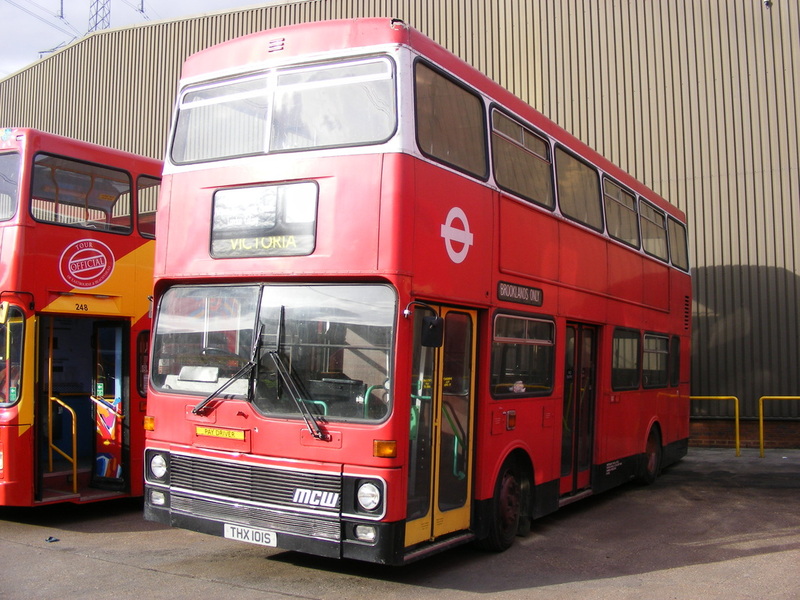 The Metrobus was born out of LT’s need to displace the unsuccessful Merlin and Swift class as well as the DMS which had defeated LTs best efforts to run. 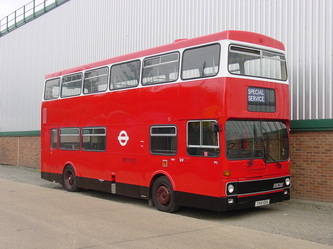 Leyland’s problems of time meant that the new order could not be solely of Titans so another vehicle was needed, and LT turned to MCW having previously operated the MD class from this maker. Initially MCWs demonstrator was despatched for London to evaluate which led to an order for 200, that would be upped on a per year basis until over 1400 were in service by the time the last ones arrived in 1986. 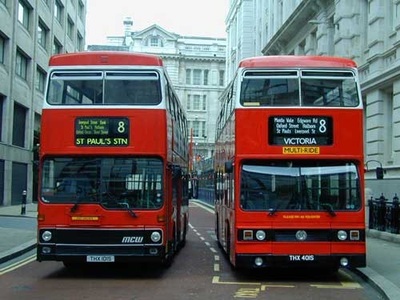 The vehicles proved to be reliable and rugged and whilst it was often said you were either a ‘Metro’ or ‘Titan man’ but unlikely to be both, each of this period of London’s buses went onto to give service into the 21st century. The Metrobus was in many ways far more of a work in progress, from the very first ones that had different blind displays, to later ones that were ordered for the Airbus or the Sightseeing operations, or with Cummins engines, variety and modifications, the Metro seemed to do easier. 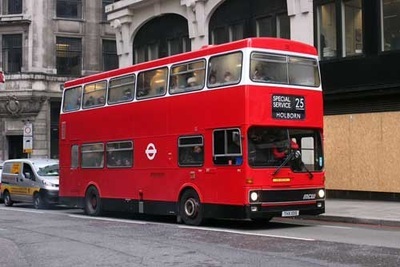 After London life many went, much as DMS had done into sightseeing duties, with both London Pride and Original using large amounts of them. Later many would cross the Atlantic and give further service as sightseeing buses in the USA. M1 was as the fleet number fairly obviously points out the very first of the order. 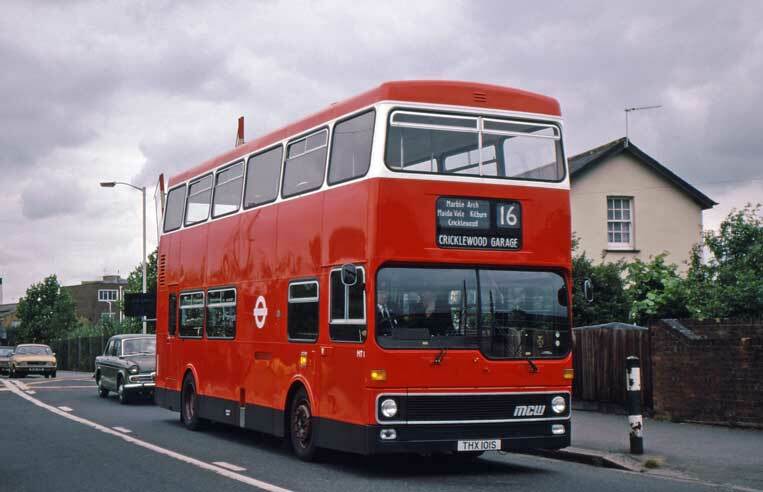 Originally the first five were given the fleet numbers MT1-5 but the T was dropped soon after and the Metros were always the M class. 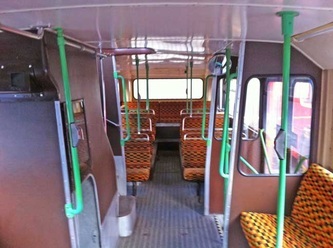 New in April 1978 it was delivered with a three piece front blind display, like Routemasters and given a black skirt panel, something it still retains and something that was unique to M1. 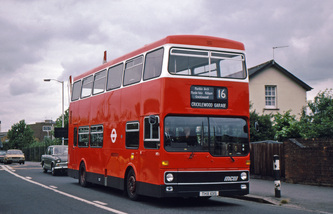 Into service at Cricklewood , its regular haunt was the route 16. 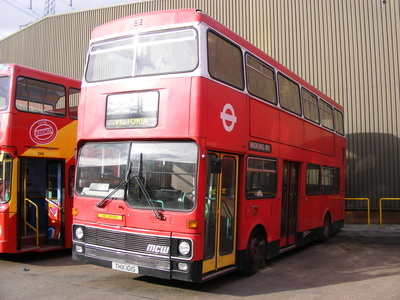 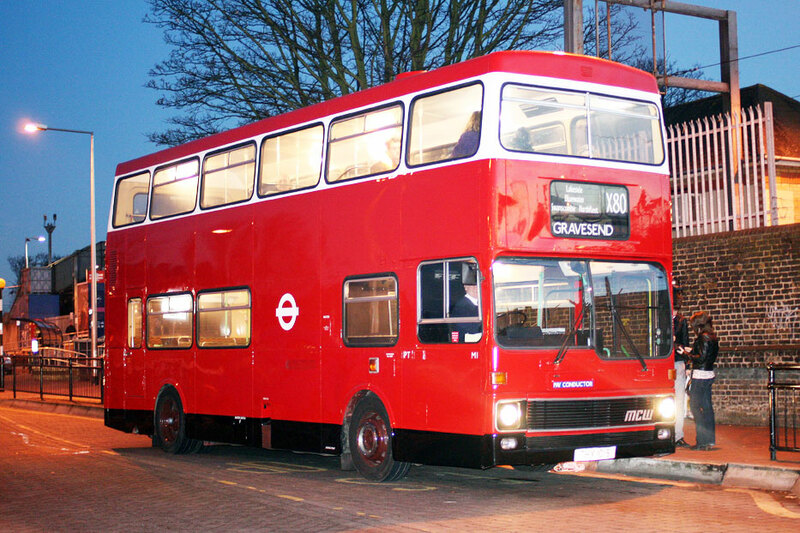 It was relegated to training duties around 1997 and spent time at Harrow Weald and Willesden, where even after many of its younger sisters had been disposed off, M1 was kept as a ‘special’ due to its historical significance. 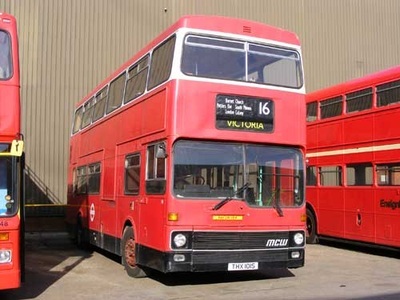 However, January 2008 saw the vehicle disposed off to the Ensignbus dealership who recognising its significance elected to pass it over for continued use and preservation in the heritage fleet. 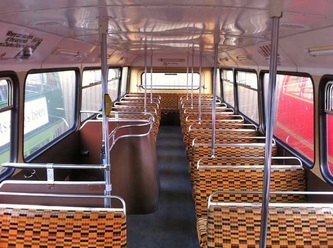 It was repainted into the 1978 livery and is still used on various events and has also been pressed back into service during emergencies such as rail replacement or inclement weather situations.